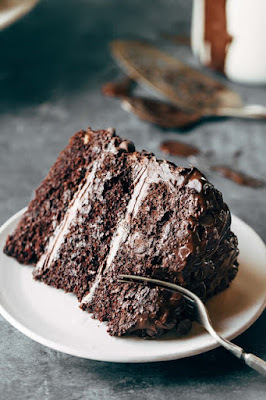 Looking for the recipe of the best chocolate cake for Christmas 2018? Take this recipe and make your multi layer chocolate cake to enjoy with your family. No one can think of a Christmas day without some delicious cakes. Keeping that in our mind today we are going to share one of our best cake recipes to all of you. This chocolate cake recipe will make Christmas Day 2018 more chocolaty and juicy to all of you. In our upcoming articles we will share more recipes specially dedicated to Christmas 2018. 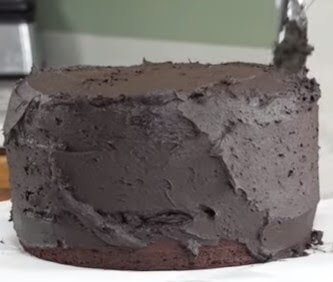 Today let us see how to make a delicious multi-layer chocolate cake. At first let us take all the ingredients. We're going to start by preheating the oven to 350 degrees F and then I'm going to show you how to butter a 9-inch pan. Put some softened butter onto a paper towel and then spread it around the bottom and sides of the pan. Make sure you get all the sides and edges. You don't want this cake to stick. Then you can either pour in some all-purpose flour or, since we're making a chocolate cake, I'm going to use cocoa powder. Sprinkle it in. Then shake the pan back and forth so you cover all the bottom tap out the excess and I turn it so it gets all of the sides covered. Then make sure you give it a hard couple of pats and tap out all of the excess either into a garbage can or the sink and then just set those pans aside. You're going to want to butter and dust three 9-inch cake rounds. This is going to be a multi-layer cake and it's amazing! Next, we're going to put together our batter. In a large mixing bowl, combine 3 cups of flour, 3 cups of sugar, 1 1/2 cups of cocoa powder, 1 tablespoon baking soda, 1 1/2 teaspoons baking powder and 1 1/2 teaspoons salt. Give this a quick whisk to combine it. Next, we'll add in all of our wet ingredients. 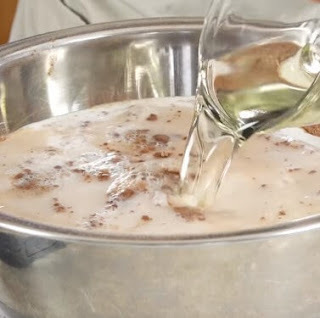 You can either continue whisking this by hand or switch to a hand mixer. Now pour in 4 eggs, 1 1/2 cups buttermilk, 1 1/2 cups hot water and 1/2 cup vegetable oil. And then mix this all together. Now, you don't want to over mix this. You're really just looking to combine all the ingredients and make sure that there's no flour or cocoa powder left on the side. In fact, I like to finish it off by using a hand scraper just scraping the sides and the bottom to make sure everything got in. Now we're ready to divide the batter among the three pans. I find that the easiest way to do this is to use a measuring cup and just scoop it in. I have found that it takes about 3 cups of the batter to fill each pan evenly. We're going to bake these in the 350 degree F oven for 30 to 35 minutes. Make sure that you move the rack to the center so that you are baking the cake in the very center of the oven. This will ensure the most even baking. If you can only fit two of your cakes at a time, that's fine. You can bake the third one right after. Once they're done, remove them from the oven and place them on a wire rack to cool. Let them cool for about 10 minutes before turning them over and removing them from the pan. While you are waiting for the cakes to cool you can go ahead and put together your frosting. Now, I've used all kinds of frosting for this cake. Including whipped chocolate ganache. Which is pretty good. Today we're making a chocolate cream cheese buttercream. Start out with 8 ounces of cream cheese in a bowl and add in 1 1/2 cups of softened butter. Use a hand mixer to whip this together. 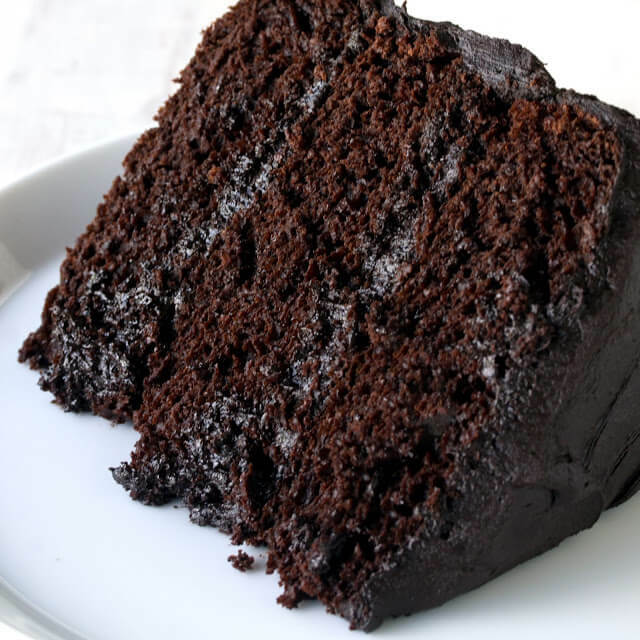 Once it is light and fluffy, add in 1 1/2 cups cocoa powder the kind of cocoa powder you use for this and the cake really matters. Use the highest quality cocoa powder you can find. It really makes a difference. Mix this together. At this point I always add in a couple tablespoons of milk. You may need to add more later. Frosting is a fickle thing so the amount of milk you add can really vary. So just eyeball it and trust yourself. We're going to add in about 8 cups of powdered sugar total. I like to add it in about 1 cup at a time. Now I'm going to finish mine off with a scraper just to make sure all of that powdered sugar gets mixed in. Once our cakes are cool we can put it all together with the frosting. Trust me, this is the most decadent, divine chocolate cake. 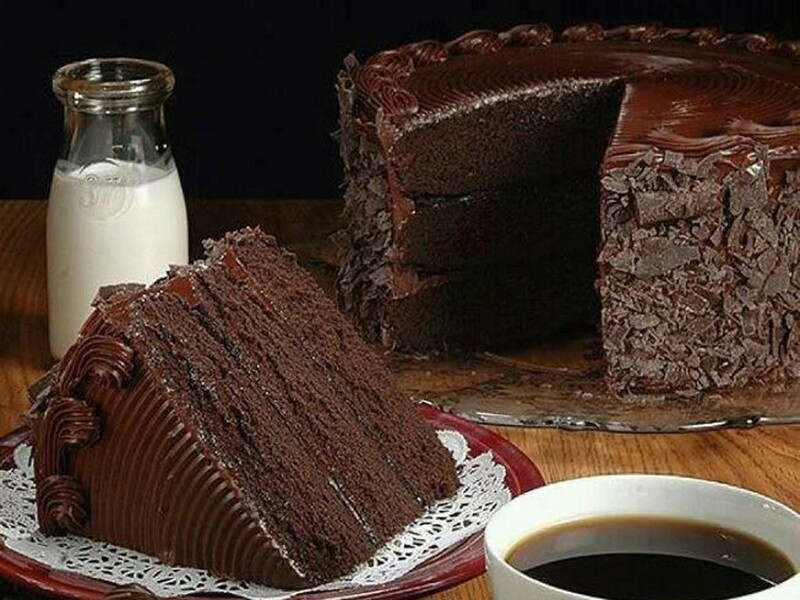 Now put on those fat pants and enjoy a slice of the most amazing chocolate cake for this Christmas.